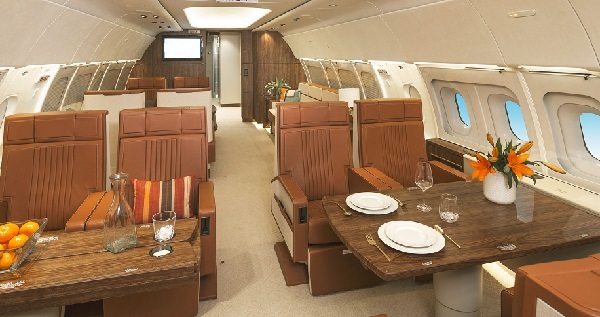 The event, which Airbus says is “to demonstrate the benefits of the best business jet cabin in the sky”, will be at the Asian Business Aviation Conference and Exhibition (ABACE), which opens in Shanghai tomorrow, 16 April, and lasts until Thursday. The aircraft going on show is operated by EVA Airways and available for VVIP charter. It features a stylish Hermès-designed cabin, two lounges, a conference or dining area, an office/bedroom with bathroom and is certificated for 19 passengers. The new family comprises an ACJ319neo2 that can fly eight passengers 15hr or 6,750nm/12,500km, and an ACJ320neo that can transport 25 passengers 13hr or 6,000nm/11,100km. ACJ has 13 orders and commitments for neo family aircraft.